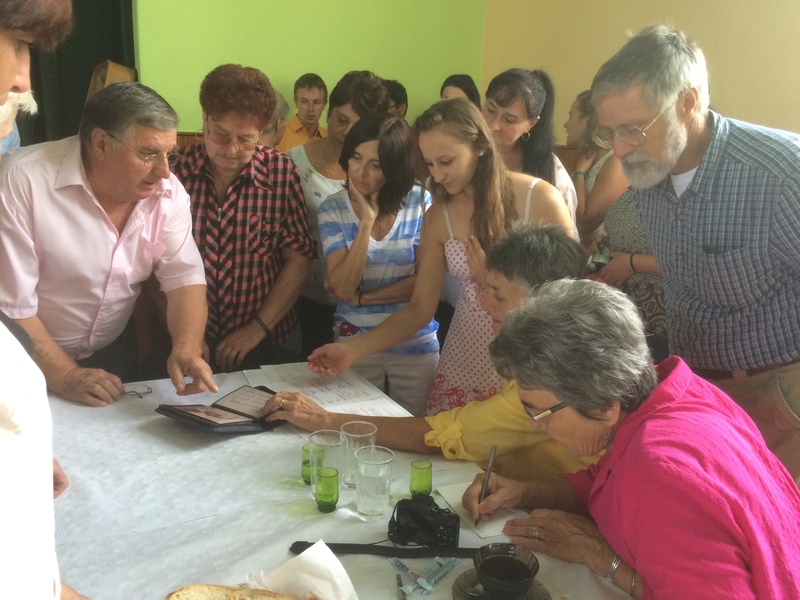 On July 2, 2015, after a year of planning, I returned to the Muranska Planina region of Slovakia with several members of my extended family. 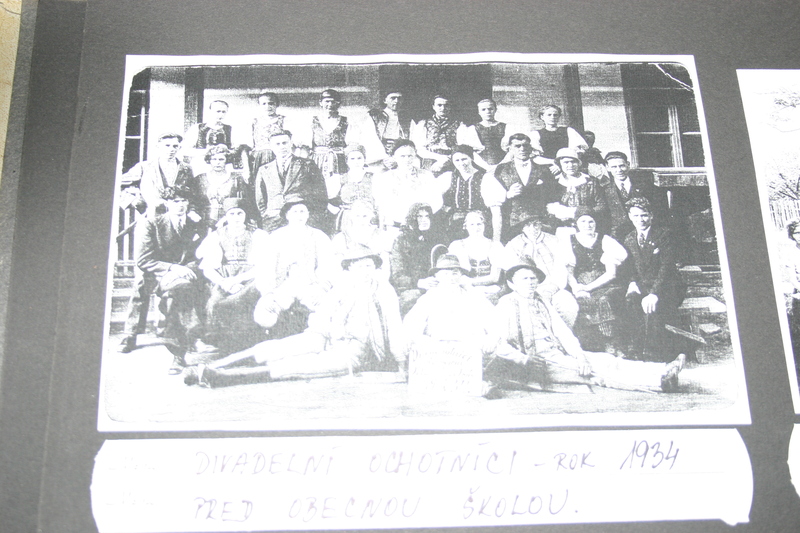 Seven of us traveled from Budapest; the rest met in Bratislava to embark from there. In all we were eighteen Americans representing three generations – could we pull this off? As the organizer of this family reunion adventure, I wondered and worried – would this journey live up to everyone’s expectations? Other than setting dates, sending a few emails to book lodging and a translator/guide and making a rough itinerary, I didn’t do much homework. I went with all of the leads from my scouting trip in 2013. The rest I left up to fate and modest expectations. I would roll with whatever transpired. Having traveled to this part of Europe 11 times, I knew the deal. This was how I always travel. I never could have planned that the six cars bringing all 18 of us from different directions would arrive at the Penzion u Hanky bed and breakfast in Telgart, Slovakia within 5 minutes of one another. With the setting summer sun and mountain breezes at our backs, we entered what I call “the zone” – it’s that atmosphere that is created when members of my warm, loving, boisterous and sometimes quirky family come together. In Slovakia, the “zone” took on a new dimension. 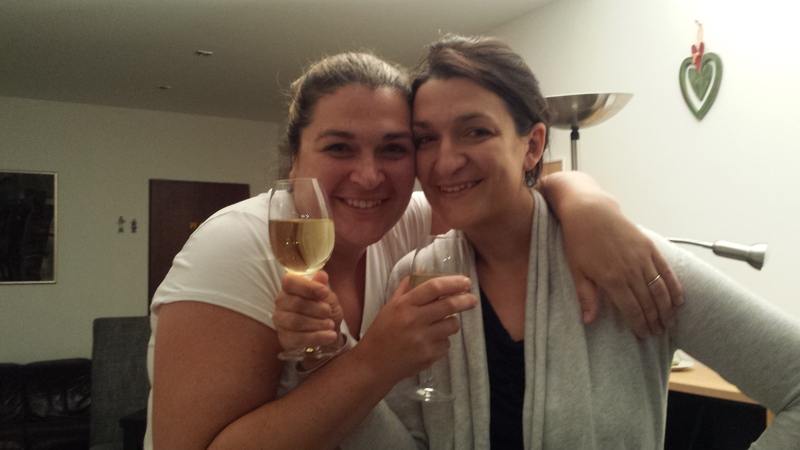 As we talked, ate and drank into the night, catching up and going over trip details, I sensed that we were one in spirit and mind more than ever before. Lord, the air smells good today…on this sunny and warm July morning, we traveled in six cars, tracing two-lane mountain roads with sharp curves and majestic peaks. Our caravan of 18 Americans soon arrived in the tiny village of 199 souls. To my astonishment, we were greeted with a receiving line leading to the village culture house. We were embraced with hugs and kisses and a few even said “welcome home” in English as we entered the social hall. My eyes swelled with tears. Never had I been somewhere in Europe where I felt so much like I belonged. Never in the world had I been so welcomed by strangers. Rarely in my life had I felt so at ease with people I hardly knew. The villagers put on a program of beautiful local food and drink, music and a welcoming proclamation read by the mayor. 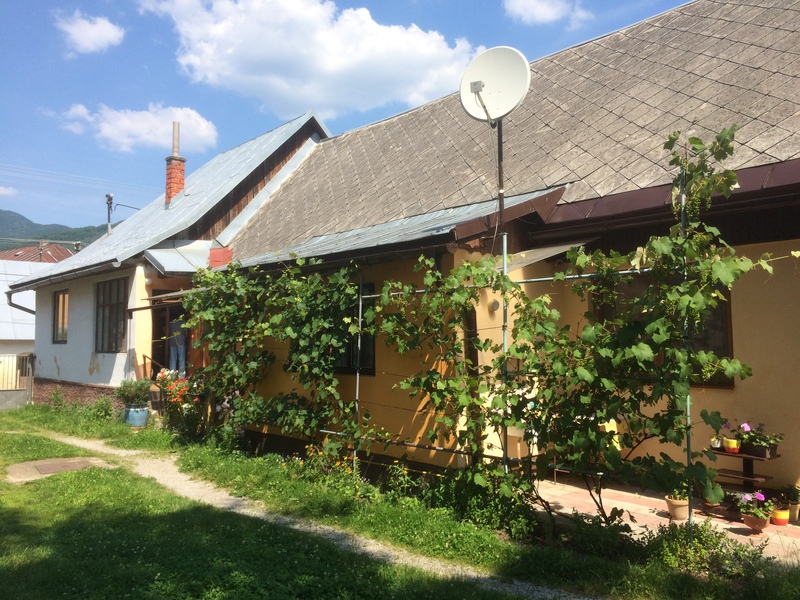 When the planned program ended, we were enveloped by warm and friendly people eager to help us figure out how we were connected to this tiny remote village in the heart of the Carpathian Mountains. Only three in the crowd spoke English and none of us spoke Slovak – but there was such a sense of familiarity in looks, mannerisms and values…common language didn’t matter. Our family of 18 melted into the crowd. It was like we all were picking up where those who came before us had left off. Dark hair, long pointy noses, my father’s round and soulful brown eyes, a reverence for tradition and the written word…minor keys, the sting of home-distilled fruit brandy, smoky meats and bacon, bread braided with honey and crushed walnuts, tangy sheep cheese…laughing and talking with hand gestures, references to history…everyone searching for a connection. My daughter and son even jumped into a game of tag with the local children. I sat with the village historian, Vera, who showed me her record books – immaculate, hand-written documentation with photos of everything that had happened there since the 1920s. Throughout the pages I saw faces that looked familiar and my family’s surnames. 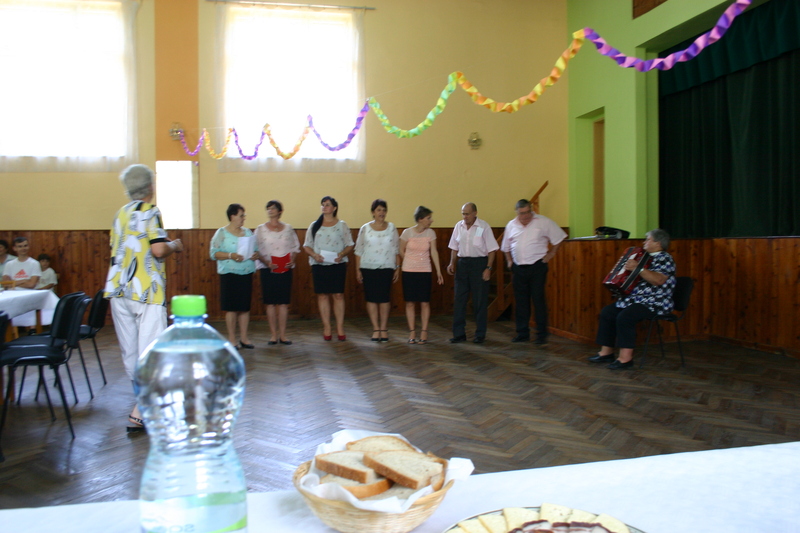 Some of the villagers remembered my grandmother’s visit in 1981. One woman was actually in the pictures my aunts had brought from that visit. As the morning went on, the villagers began to place us in a modern context, listing all of the people we are related to. I drew family trees and took notes. Unfortunately none of our relatives were present, but they were all fairly close by and the mayor promised to make a few phone calls to see what he could do. 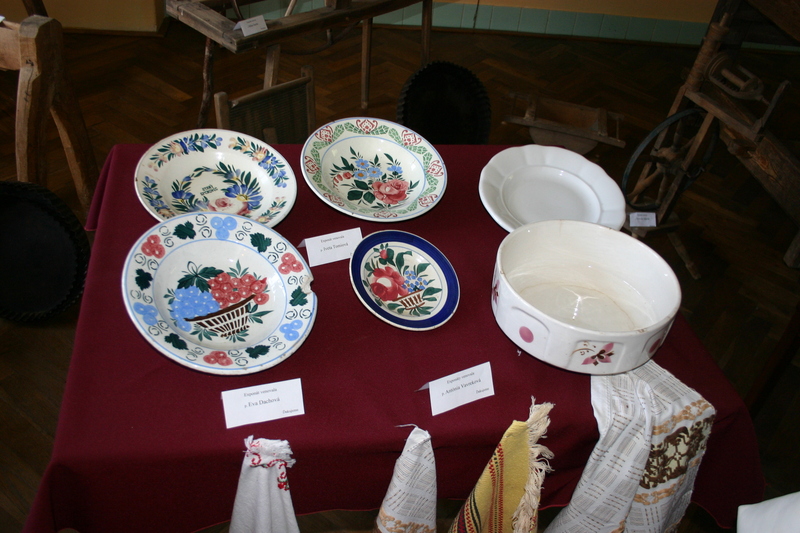 The mayor and the villagers took us to their tiny museum – a room on the second floor of their culture house with everyday items of the early 20th century and times before. Each artifact was carefully displayed and cared for and included the surname of the family to whom it belonged. 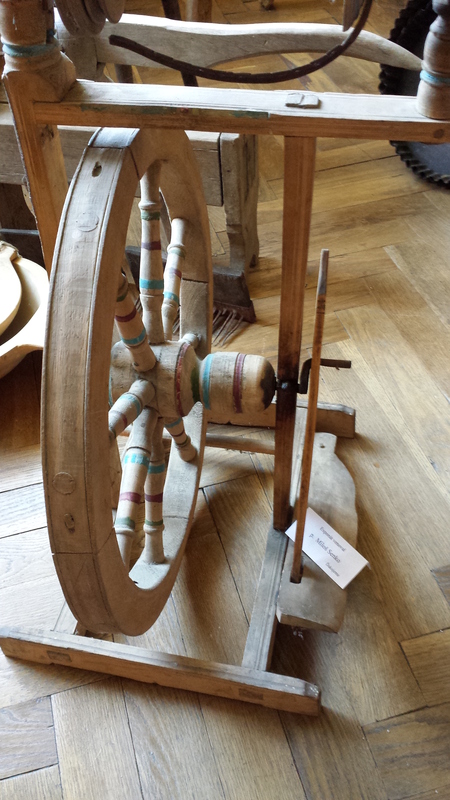 There were plates and a spinning wheel notated with my family’s surname. We asked to visit House 29, my great-grandmother’s home. Vera and the mayor showed us to the small stucco house I had visited alone back in 2013. 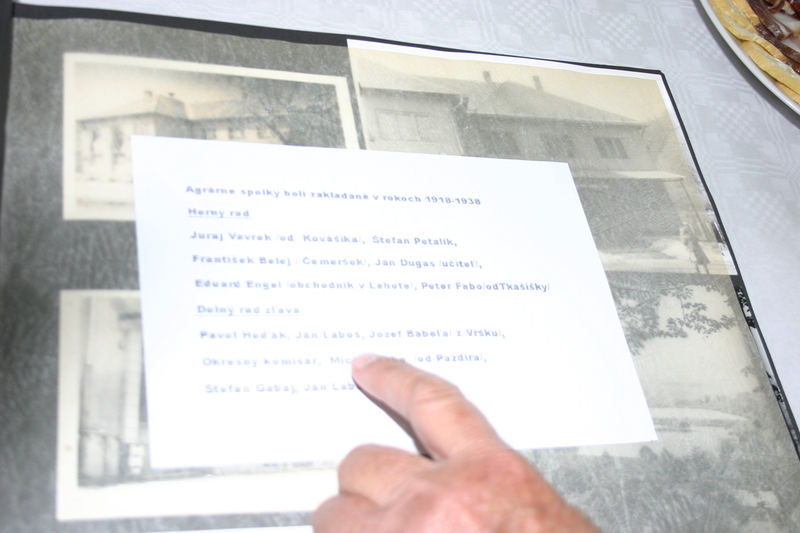 The villagers confirmed that House 29 was still owned by someone with our ancestral surname, but that no one lived there. As my children played in the stream and with the water pump across the dirt road, I learned that House 29 was one of the oldest houses in the village and originally made of stone and was renovated to stucco in the 1960s. Unfortunately, no one in the village had the key nor could anyone agree on exactly which of my relatives owned it. The neighbor and the mayor said they would see what they could do to find out about the key. We left the village briefly for lunch. We went to a small restaurant in the town Revuca where I had pre-ordered the group a lunch of bryndza cheese pierogies, dumplings filled with mashed potatoes and a tangy sheep cheese. 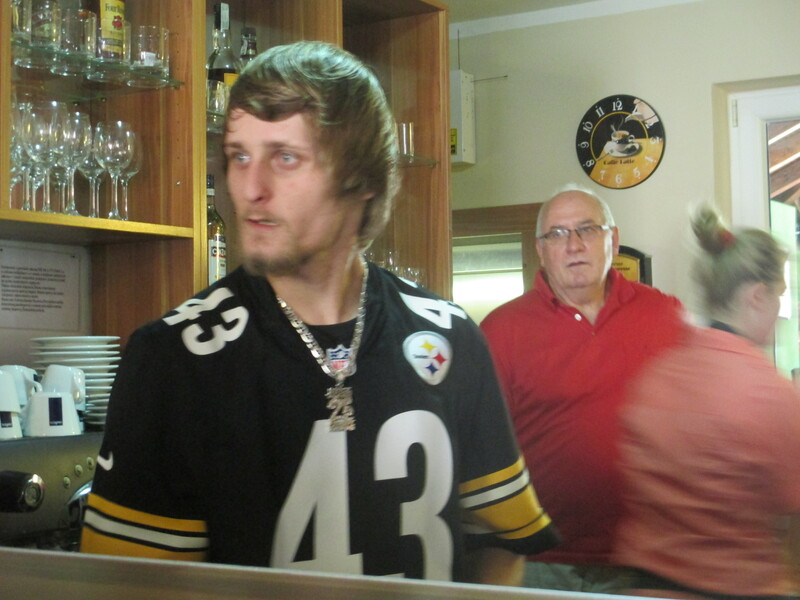 Pittsburgh Steelers fans for life, we were stunned to see the bartender wearing a Pittsburgh Steelers jersey! He explained that he had been to Wexford, PA, just 10 miles from my urban Pittsburgh home, in April! “Have you been to our castle?” asked Vera. “Really – you must go. Do you know about the castle?” When I told her that we planned to visit the following day, she smiled broadly. Our castle. It had burned in the 1700s, but it was still their castle. It was late afternoon and we walked toward the church as the village priest had planned an early evening mass for our ancestors. Vera pointed out the mayor’s villa and national park signs showing the castle trail and other trails as Muranska Lehota is situated in the Slovak National Paradise Park. We walked to the village business sector – the kocma (bar) labeled “parliament”, the tiny Coop store, and the church are neighbors in that order. A 76-year old villager, met us in front of the bar and we treated him to an Urpiner beer. He had wanted to meet us and his sons helped him out to the bench. His aunt had married one of my relatives and my grandmother had stayed with her in 1981. He and his sons remembered her visit then. The church bells rang and a group of women started praying the rosary. I soon squeezed into a pew with my sister, my children and my husband. 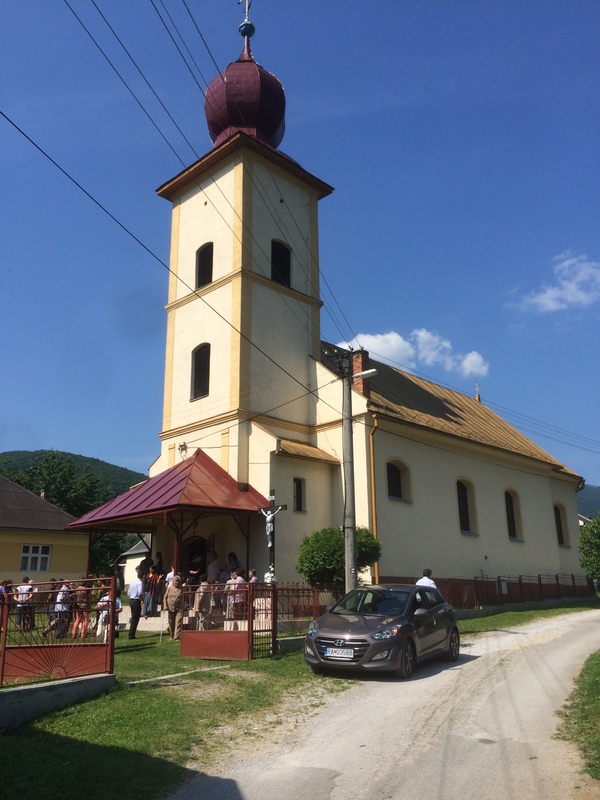 The village priest presided over an a cappella mass in Slovak with call and response singing. I joined in when it was repetitive and I could pick up the words. The strong, shrill and harmonic melodies gave me goosebumps…I felt the happy spirits of those who came before me and the warmth of the three generations of my family who had journeyed with me all around. A grace like new clothes thrown across the garden, free medicine for everybody. After mass we thanked the priest and villagers who congregated in the church yard and left in our caravan of six cars. We agreed to return for Sunday morning mass before leaving the region. Once back at Penzion u Hanky, we were completely wiped out and overwhelmed with all that we had seen and learned. 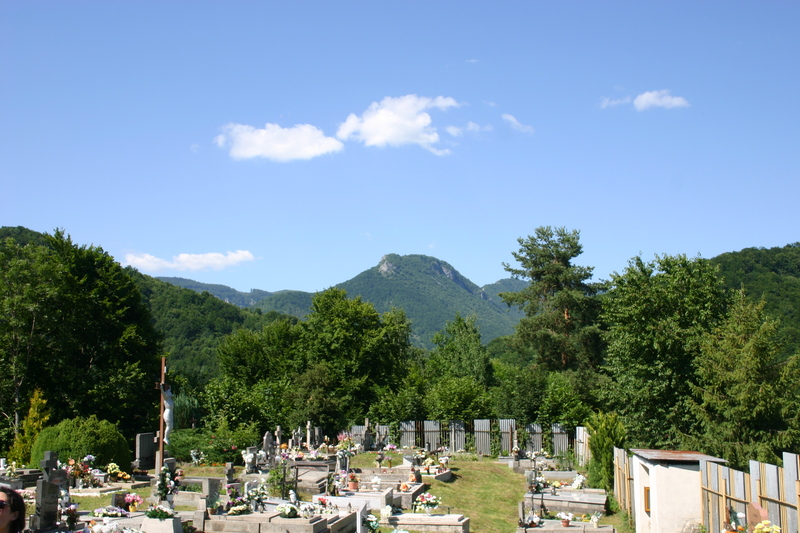 My mind spun with images of the culture house scene, my ancestors’ spinning wheel and dishes, House 29, the view from the cemetery, the people I had met and my experience in church. Too tired to iterate how I felt or compare notes with my aunts, I sat outside with my sister and our cousins to drink sweet white wine under a starry sky and full moon. This entry was posted in Slovakia, Travel on January 2, 2016 by Judi Resick. Judi on Duty, you are amazing! I love being in “the zone” with you!